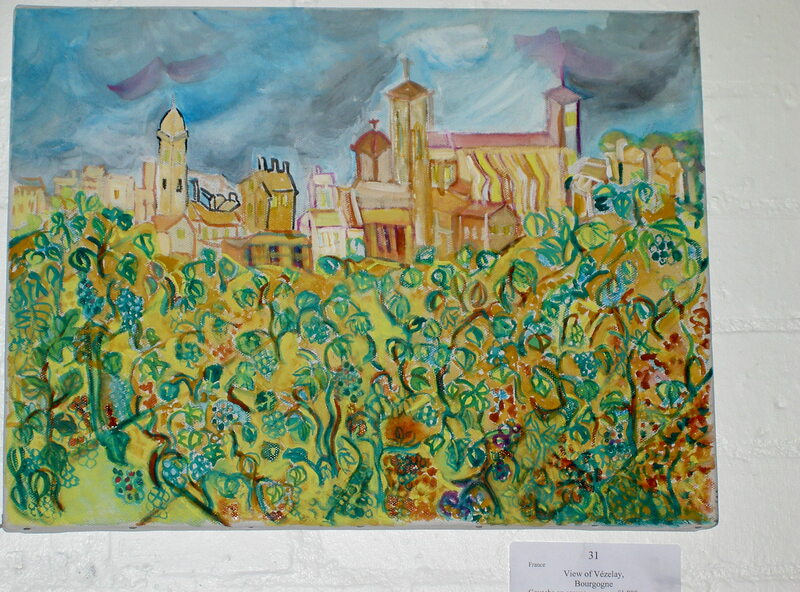 Westfields Vineyards, established 2005, is part of the Mika art studio at 121 Westfields, St. Albans AL3 4JR. Four kinds of English vines, one white and three red. Altogether there are 24 vines. 2009 we produced two bottles of red wine and one bottle of rose wine. 2010 ten gallons of red wine and one bottle of white wine. 2011 fifteen gallons of red wine and eight gallons of Apple Wine. No white wine. 2012 eight gallons of red wine and five gallons of white wine. This was a very bad year for crops and fruits and vineyards because of rain, lack of sun, cold and vine diseases. 2013 six gallons of red wine and no white wine. 4 gallons of cherry wine. This year was bad for sun, rain and cold, but less illnesses. 2015 five gallons of red wine and two gallons of white wine. This year, the weather was cold, rain and wind. Little sun in May, June and July. There were less illnesses than in the previous year; mildew, Pierre’s Disease and crust. I planted four new red vines; English Red Wine, Vitis Outdoor Black Grape; Grape Muscat Bleu; Cabernet Sauvignon. 2016 ten gallons of red wine and two gallons of white wine. Harvest in November. The year was better for sun but rainy and cold. I cultivated the earth with cattle and horse manure, and with pebbles from Brighton beach. I used spray in February and biological washing powder. There was less powdery mildew. Pruning in November 2015, and collecting all leaves on the ground. 2017 forty five gallons of red wine and three and a half gallons of white. Harvest in October. The year was unstable with the weather. Summer was more warm and sunny, but spring, autumn and winter were harsh, wind, rain, cold. I cultivated the earth with cattle and horse manure, with pebbles from Brighton beach, straw from a farmer’s field, and wooden chips. Pruning was in November 2017, and collection all leaves on the ground. I used biological powder and soda bicarbonate powder through the year 2017. There was less powdery mildew and rust and black spots. 1 Grape Gewurtzraminer white green outdoor. Nobody knows the background of all 24 vine plants now in Westfields Vineyard. 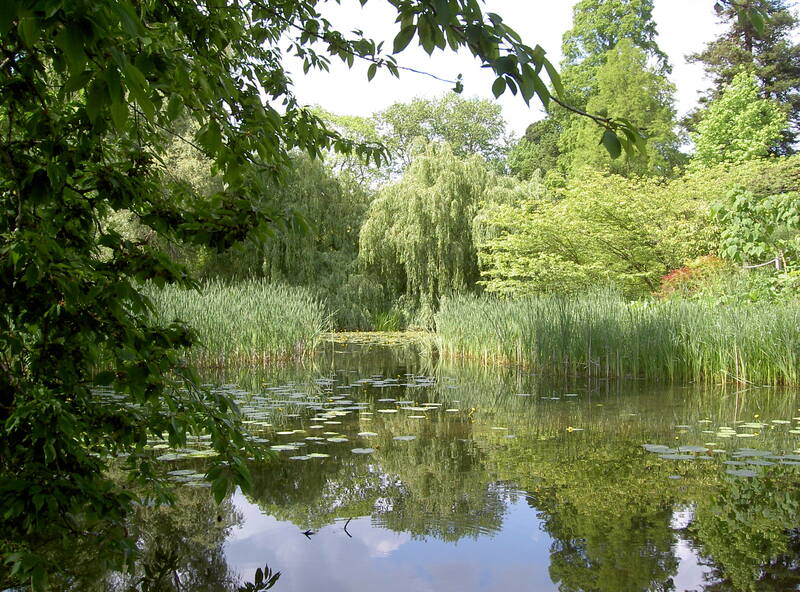 Rudolf Steiner House in London is composed of gobelin and paintings-landscapes from Bohemia, Greece, Sicily, Istanbul and the sweet English landscape in the tradition of Constable and Monet. 35 Park Road, London NW16XT, buses:2,3,18,27,30,74,82,139,113,159,274:Baker Street underground station. 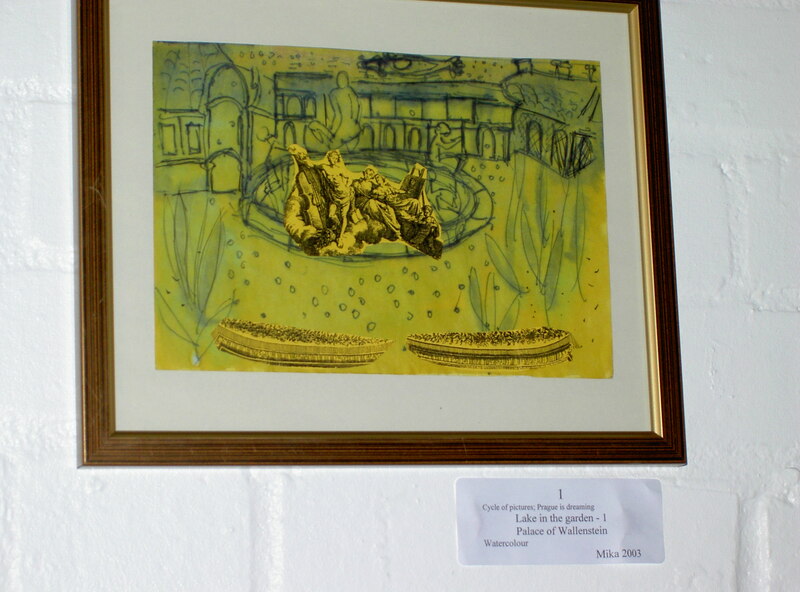 Thank you to the great Art Historian Mr. Trevor Dance, who offered me this exhibition in the Rudolf Steiner House. Wednesday 6 November 2013, 7.30 – 8.30pm at the Rudolph Steiner House, 35 Park Road London NW1 6XT, telephone of Libuse is 01727 864257. Libuse will look at the collection of Flemish tapestries in the Gallery of Tapestries in the Vatican Museum. The weavers were Flemish and Italian. These tapestries tell us about the life of Jesus and the Virgin Mary, the history of Rome and Roman emperors. Wednesday 6 March 2013, 7.30 – 8.30pm at the Rudolph Steiner House. 35 Park Road London NW1 6XT, telephone of Libuse is 01727 864257. Libuse will look at the collection of tapestries in the Louvre, Paris. Collected from different parts and epochs of Christian Europe, these tapestries tell us about religion, war, nature and morality. Wednesday 17 October 2012, 7.30 – 8.30pm at the Rudolph Steiner House. 35 Park Road London NW1 6XT, telephone of Libuse is 01727 864257. The talk will be about the visit to the Ramses Wissa Wassef Art Centre in Harrania Village in Sakkara, Gisa. 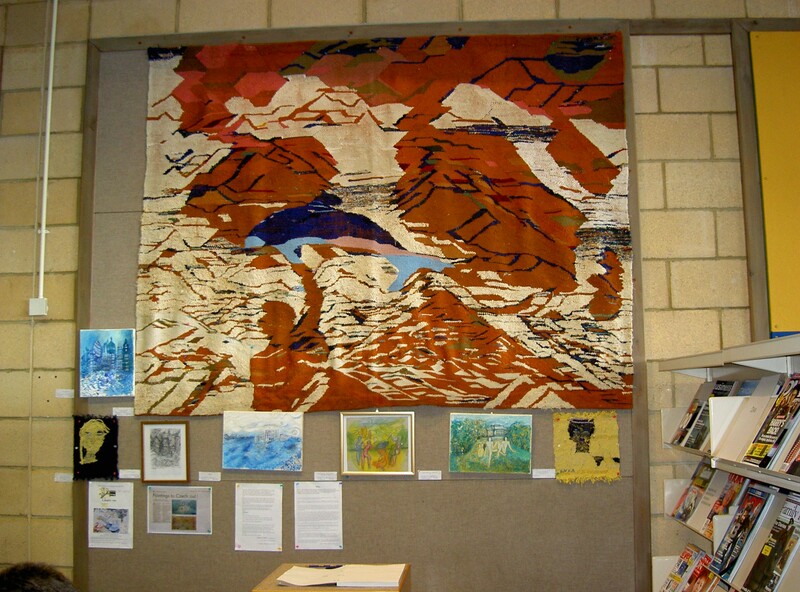 The beauty of Egyptian landscape in tapestries produced by the children, aged 8 to 20, of Harrania Village. The late Mr. Ramses Wissa Wassef remains an important architect. Wednesday 23 May 2012, 7.30 – 8.30pm at the Rudolph Steiner House. The talk was about the 14th century “The Tapestry of Angers” depicting St. John’s vision of the Apocalypse. Wednesday 29 February 2012, 7.30 – 8.30pm at the Rudolph Steiner House. The talk was about the 15th century tapestry “The Lady and the Unicorn” and their eternal message of esoteric beauty. 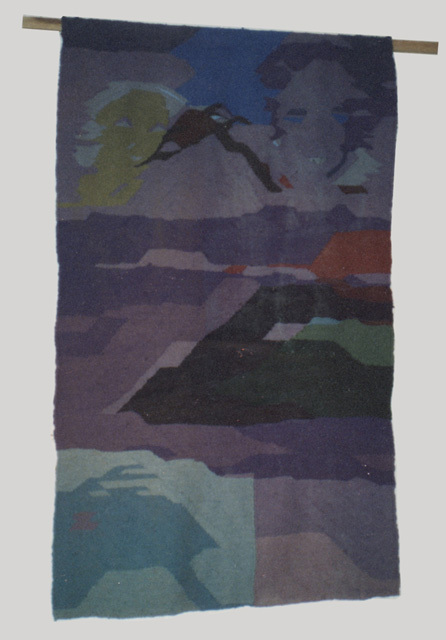 November 2011 Exhibition of tapestry. All her artistic work in tapestry comes from the impulse of Christianity epoch spirit and her spiritual imagination of life and death and nature. She talked about her art therapy, which uses the methods of Rudolf Steiner in the Sue Ryder home in Ely. Friday 30 September 2011, 7.30 – 8.30pm at the Rudolph Steiner House. The magic of tapestry the art of the French tapestry revival led by great innovator craftsman Jean Lurcat is the subject of this enchanting talk by Libuse Mikova-Mika herself a practitioner of art of tapestry. The beauty of the art of hand will be shown. All welcome. No prior knowledge required. Rudolph Steiner House. Sunday 22 May 2011. This lecture informs on the beauty of the art of hands in the epoch of baroque, rococo until the 20th century with its avant-garde style. Friday 11 February 2011, 7.30 – 8.30pm at the Rudolph Steiner House. Discussing the magic of tapestry in the therapeutic method of Rudolph Steiner. Tom Cat Dali is a real cat figure who lived with me in my panel flat in Prague in 2003. One day, tragically, I lost him. I dedicate this book to him. The pictures are about the beauty of historical sights in Prague. 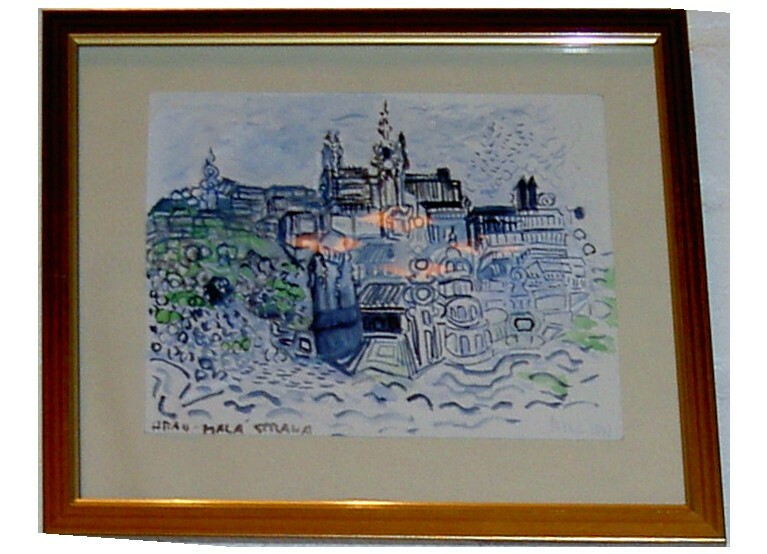 It is dedicated to all people who like the mystery of Prague and surrealistic pictures. “Mystery of Us”. 47 pictures. Published 2011. £15 ISBN 978-0-906340-23-3 The pictures are about the Exodus of men, women and children. Bought by Bookshop of Rudolph Steiner House. “Journey to Egypt”. 50 pictures. Published 2011. 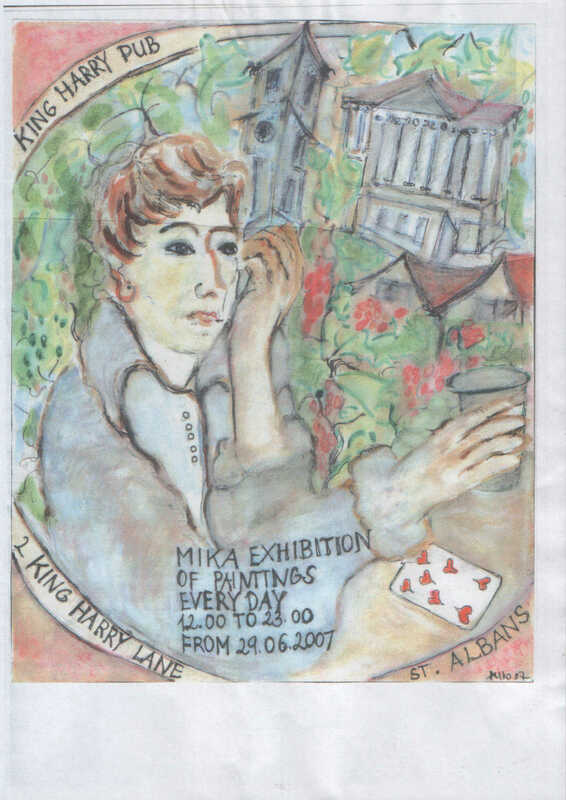 £20 ISBN 978-0-906340-24-0 The drawings are about places during my travels in 2004-2011. 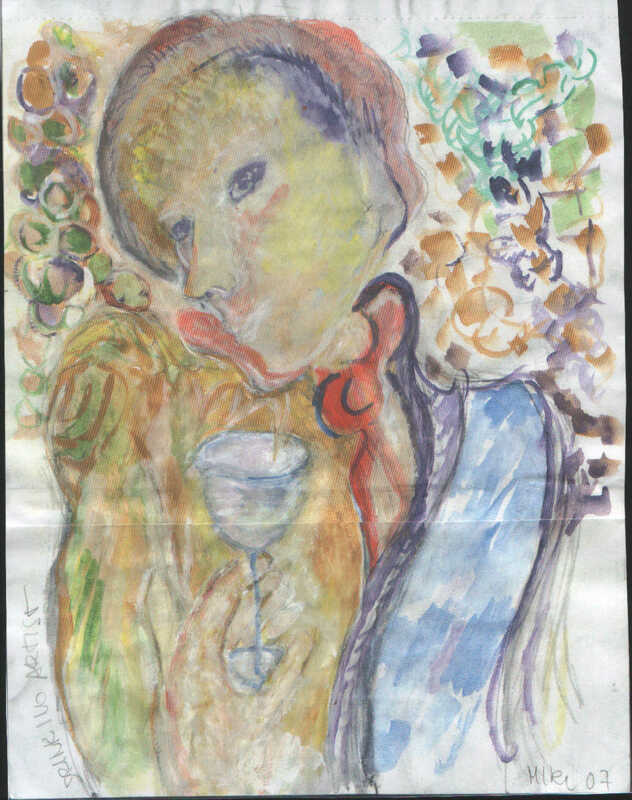 These drawings and paintings of the book “Chanson de la France” were created between 1977 and 2012 in various regions of France. My personal feeling for all the places in France where I painted is deep, sensual and happy, but it has not been always in harmony with the real life and history of the country of the cockerel. Sometimes I feel that I was born in the silver waves of the Mediterranean by the Marseille. If I think of my home, I think of the Ardèche, with its mountains in the strong wind of the mistral. These drawings, paintings and photos with gobelin “Carmen” were created between 1984 and 2013 in various places in Italy and Spain. The Mediterranean Sea is the most influential and beautiful nature in the art works of the book. The paintings and photos were born in nature and some of them were finally finished in the studio. My personal and artistic feelings during the Italian travels were deep, sensual and happy; in Venice, Padua, Assisi, Florence, Castel del Piano, Cerveteri and the Amalfi coast. Rome was very important for my discovery of the ancient history of Apennines peninsula and its life. The journey in Spain was captured with dance and Flamengo music, and horrible killing of bulls in a corrida, which I saw at a television in a pub near Madrid. If I think of Spain, I think of the unique places, full of history and hope and lost dreams of the freedom and happiness of nature. 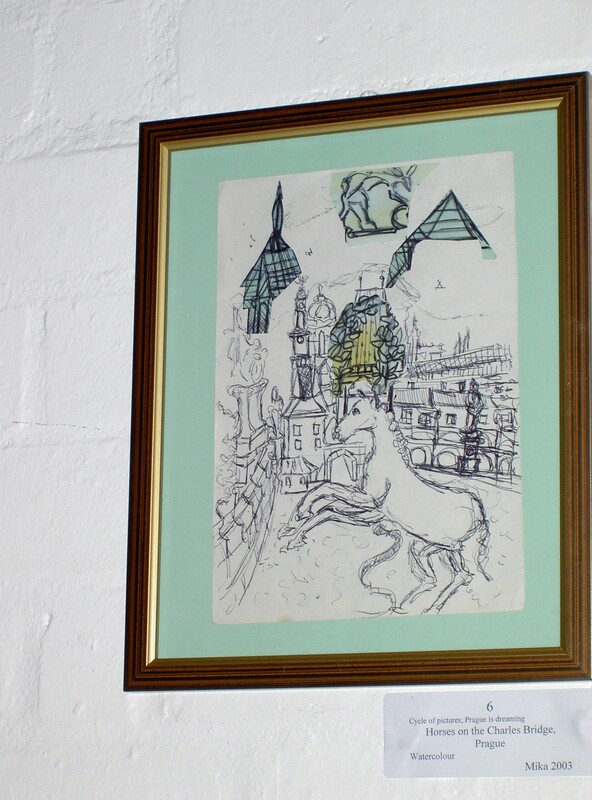 These drawings, paintings and photos and the Gobelin “Ivor Catt and Trinity Goliath” were created between 2004 and 2014 in various places in the British Isles. The British islands have the heritage of a great powerful country, which historically influenced the life of Europe and many countries. In the epoch of the 21st century there is historical doubt about its cultural life, democracy and freedom and the truth of its political system, but no doubt about the beauty of the landscape, trees and the kingdom of animals and plants. These drawings, paintings and photos were created between 2009 and 2014 in various places in Constantinople and the Peloponnese. The pictures of the Marmara sea, the prayers in the Blue Mosque, Haghia Sophia, 532-537, the basilica, later becoming mosque, by the architects Isidor of Miletus and Arthemus of Thalles in the times of Justinian I, the Christian emperor. The traditional Greek dance in Athens under the Pantheon; the beautiful vineyards and nature of Kryonere; Kioto with palm trees; the history of Mycenae, now in ruins; the ancient Greek theatre Epidaurus, mastered by the fourth century B.C. Greek architect and sculpturer Polykleitos the Younger; the ancient Roman site Nemeas. Corinth with the Hera temple captured my artistic sense; exoticism and the world of understanding who we are. Constantinople, the holy city of Byzantium and the Ottoman empire, the place where, during the 2nd part of the 19th century, the French marine officer Pierre Loti fell in love with its exoticism, and wrote about Constantinople and his love of the unnamed Turkish lady with finest exotic charm and coloured form. Gentile Bellini from Venice spent his diplomatic and artistic life in the court of Sultan Mahomet II. Constantinople of the 16th century Ottoman architect Sinan shaped the exotic charm of the port above the Sea of Marmara. The vibrant life nowadays returns my mind to the past of my travels there. These drawings and paintings with photos of beautiful nature in South Africa were created in February 2007. Exoticism of spirit, shapes, colours, light, dark and bushmen, people from the past and the present, create original dimensions in my artistic work. In Cape Town, Mossel bay, Cape of Good hope, where Bartolomeo Diaz, a Portuguese aristocrat, son of a great marine nation, as the first European sailor with his crew, reached the South African earth. The voyage through the exotic splendour of Table Mountains, Kirtenbosch botanical garden, the Garden rout with its ancient forest, Montagu Springs, Robertson town and Gospel train with its Eden garden. The garden of prayer of the owner priest Lionel Kuiper with his wife Vivian and their sons. South African days and nights with its celestial blue sky. The ostrich farm, the baboon family, turtles, the penguin colony on the shore, the African elephants’ sanctuary, the snake, lizard, oriental insect. The natural phenomenon of the Atlantic and Indian oceans joining in the Cape of Good Hope. The blood and human misery of the bushmen and the nations in South Africa with the Long walk to freedom in sunrise and sunset, can be seen in my paintings with sharp black contours. I shall not tell you unless you agree to sail with me. Drawings and paintings with photos of beautiful nature in Cyprus, The beautiful Mediterranean island of Aphrodite. Nature and history are created in ancient Cypriot poetry, the great help of my beloved grey European cat at my side, whom I left in Limassol. As the Oracle said of this island, a great, celebrated singer will be born in Sea-Girt Cyprus, whom the misto, the best of the best will bear, her offspring born in a lone, barren field, far from the fertile land of Salamis, will leave Cyprus behind and over the waves to great Greece will go. 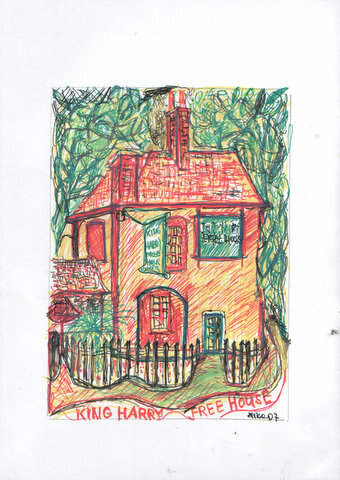 Pen drawing of the King Harry Pub. Trevor Dance, Curator of my exposition "Mystery of Us" in the Rudolph Steiner House, London, 2010; Curator of my expositions “Tapestries 2011 and 2012”; Professor Pavel Stepanek, University of Palacky in Olomouc, Moravia included my paintings from Peru and India in his book about artistic relations between Check culture and Peruvian culture (2012).